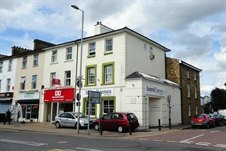 Cattaneo Commercial are pleased to announce the successful sale of 75 Surbiton Road, Kingston upon Thames and 68-70 High Street, Walton on Thames. Both of these self-contained office properties were let on full repairing and insuring leases for an unbroken term to expire 30th April 2027. The leases are held by Howell Jones Solicitors who have been in occupation of the properties for many years. We received very strong interest during marketing from a wide range of investors and buyers attracted by the length of the lease, the covenant strength offer by Howell Jones Solicitors and the potential rental growth. In addition, both 75 Surbiton Road and 68-70 High Street offer longer term development potential, subject to planning, which added further angles for potential buyers. In the current market there remains strong appetite for similar investment opportunities and freeholds in general, however supply remains very low. If you are seeking to purchase an investment please contact us to register your interest so that any new opportunities can be sent directly to you. Alternatively, if you have a property you are considering selling we would be pleased to talk to give an indication on sale price and how Cattaneo Commercial, with many active buyers, are excellently positioned to achieve a quick sale on your behalf.